Inspiration can come to you in the most unexpected place, at the most unexpected time. The place where you will most likely find a bar stool or chair is in… a bar. 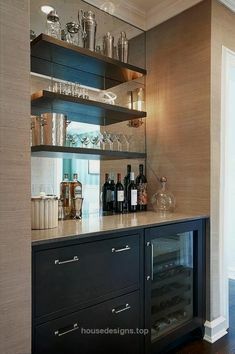 And even though you might have your own home bar, the truth is most of the times you find yourself gathering inspiration from multiple commercial projects online. Today we are showing you some of the best coffee bar and restaurant design ideas, where you will find great bar stool designs to inspire you! Located in the bustling Pannekoekstraat, De Pasta Kantine adds something hip yet also pure to the culinary scene. Set against a raw and industrial setting with hanging plants and traditional tiled floors, you can indulge in a real homemade pasta. A coffee bar for locals in the center of Prague, sounds good, right? The interior of this gorgeous place was designed by Mimosa Architekti with the themes ‘current’ and ‘connection’. This can be interpreted in two ways: connecting people over a good lunch and tasty coffee, but also the connection in an electrical way. Think about the lights who all come together in one place. “Feast of Merit” is an initiative by YGAP (Y-generation Against Poverty), a charity that supports youth education and leadership projects in Malawi, Ghana, Rwanda, Bangladesh, Cambodia and Australia, and who put the profits from their business into aid projects. For that reason, the interior has a very simple yet beautiful industrial look: actually, a lot of the material was donated by friends and family. Founder Cassandra Troy Walker makes fruit and veggie concoctions that satisfy taste buds as much as they do nutrition requirements. The interior is as delicious as Walker’s juices. Diana pendant lamp is an industrial-inspired design that embodies all the simplicity and sophistication of the mid-century modern age. It is a small suspended light perfect for any contemporary coffee bar. Collins bar chair appears in this luxury bar idea in the most glamorous way we are all used to. With sleek and modern lines, this bar chair is a classic and timeless design that will never grow old.